- 1 level increases your HIT rate by 1. - 1 level increases your FLEE rate by 1. - 4 levels increases your status ATK by 1. - 4 levels increases your status MATK by 1. - 4 levels increases your status MDEF by 1. When becoming 3rd class you are able to spend more statpoints on your stats, your basestats can go up to 120. The potskillbonus is the bonus gained by aspd potions (like concentration potion) or aspd skills (like twohand quicken). Currently only the currently highest active potion modifier and the currently highest active skill modifier works (concentration potion and awake potion wont stack, only awake potion will work in this case. Twohand quicken and Frenzy wont stack, only Frenzy will work in this case). Atk increasing cards like Andre or Porcellio as well as atk increasing gear like Bloody Shackled Balls or Pirate dagger count as EquiptmentATK. Normal damage increasing cards, like 20% cards (like Santa poring, Drainliar, Skelworker) increase the damage from equipmentATK/weaponAtk only, not from status atk. Special damage increasing cards, like the "7/10-cards" (Goblin Steamrider, Assaulter, etc) or The Paper card increase the damage of both statusATK and equipATK/weaponATK, but only when critting. Also, this bonus damage provided by these cards only affects normal attacks, not skills. Critical attacks ignore flee of the enemy and the final damage is multiplied by 1.4, however crits get reduced by def. 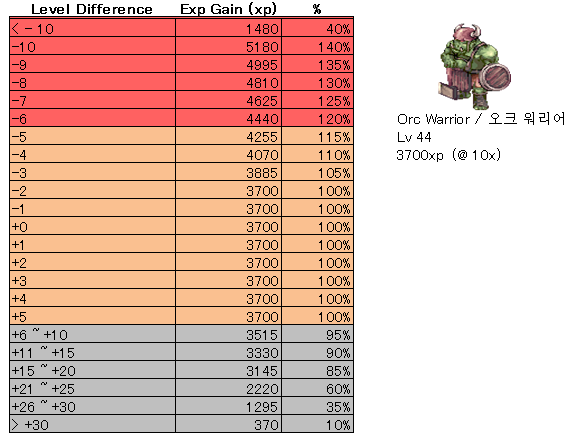 Percentual reductions against races, like Thara Frog, Khallizburg and Beret work against both normal attacks and skills. Critical attacks are now also affected by reductions so Racial reductions also work against crits. Garment cards protecting against certain elements, like Raydric card or Jakk card, reduces damage from all statusATK/weaponATK/equipATK. Elemental reductions like raydric card reduce the damage of monsters by a certain %. Since monsters dont use weapons but use a simple base atk to determine their attack power (contrary to players using statusATK and weaponATK) garment reduction cards work against the whole atk of monsters. Assumptio increases your statusdef, armordef, statusmdef and armordef by 100% (which means Assu doubles it). If you have 100+30 def without assu it will increase your def to 200+60. Angelus level 10 increases status def from vit by 25%, if you have 100 vit the vit gives you 50 status def. Angelus 10 would increase this to 75 status def. While a few skills (Gravitation field, Ganbantein, Tracking for example) have a fixed casttime most skills casttime can be reduced by upping stats and getting cast time reduction equipment/skills. Each skill with reduceable casttime has two parts of casttimes : a variable casttime and a fixed casttime. The fixed casttime is always 20% of the original casttime and can only be reduced by special skills and special equipment, the variable casttime can be reduced by dex, int, magic strings, suffragium and casttime reducing equip/cards. A skill with 10 seconds total casttime has 2 seconds fixed casttime and 8 seconds variable casttime. No matter how much int, dex and cast time reduction equipment you have, you wont be able to make the casttime faster than the fixed casttime (in this case 2 seconds) with normal methods (unless you use special skills like sacrament or radius). The element of the attacking weapon is left, the monster/player that is attacked (recieving the damage) is the top line. You only gain full experience of a monster if your level is about the same or up to five levels higher than the monster. If your level is lower than the monster you will get additional experience for killing that monster, however if the monster level is too high (more than 10 levels higher than you) you will get only 40% experience. Also, if the monster is lower than you you will get less experience at all. For best experience points you should hunt monsters that are the same level as you or up to ten levels higher. NOTE: Boss protocoll monsters (MVPs and other Boss protocoll monsters like Kasas) give always the same XP, regardless what level the killer is. Some pieces of equipment have been changed for the renewal patch. In particular, most rods and some books now grant equipment magic attack power. This topic is not supposed to be a competition topic to Doddlers renewal post or made because Doddlers post was bad or whatever (which it wasnt), this topic is supposed to be an info-collection topic only without discussions or questions and this first post will be constantly updated to provide accurate info for both renewal players and people who are interested in renewal and to avoid the same questions asked again and again.